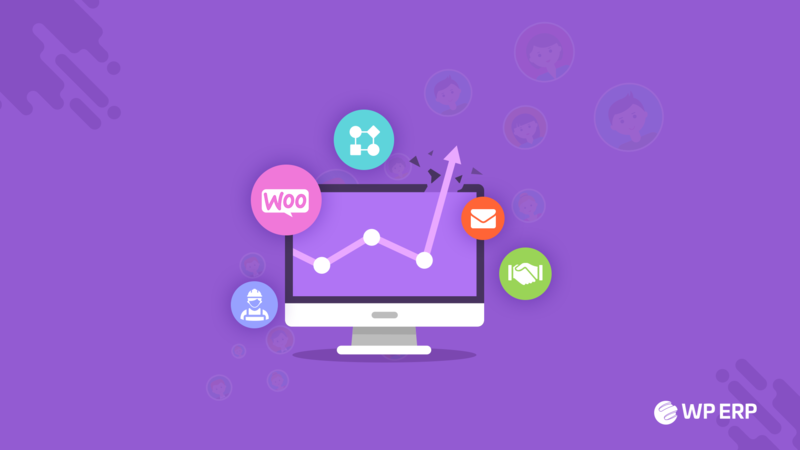 WP ERP is the first ever Enterprise Resource Planning system designed for WordPress. It comes with three powerful, but FREE modules that can easily help a small business to manage their day to day business operations. The Accounting, CRM and HRM modules of WP ERP provides easy to use functionalities within WordPress. WP ERP is already helping more than 3000+ businesses all over the world. Besides that, it has an average rating of 4.9 with 27 five-stars. To make WP ERP even more powerful, there are 27+ premium extensions available just for you. Here at weDevs, we have decided to announce a feature extension every month according to their usefulness, features and downloads. For the month of June 2017, we have selected the Payroll extension because of its excellent capabilities and benefits to the users. Payroll allows you to manage your employee compensation efficiently by providing an automated payment system. It creates dynamic weekly or monthly pay calendars and include different fixed amount payments. With this handy extension, you can configure bank and tax details of individual employees. All you have to do is to set up all the details and it will manage everything for you. Payroll seamlessly integrates with both Accounting and HR module. You can set up specific account head for assets, salary reporting and tax reporting. 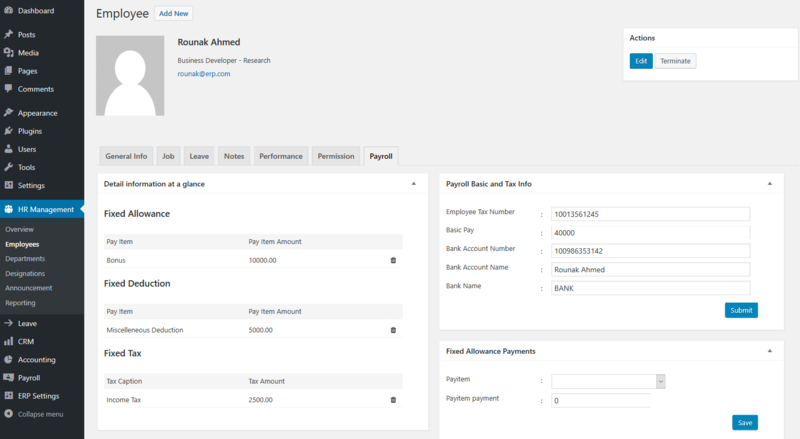 When you have Payroll installed and activated, you get an additional tab for your employee profiles in the HR module. After successfully installing and activating Payroll extension, you will be redirected to the easy setup wizard panel. From here, you can easily configure important settings. You can follow the below video to learn how to initially setup WP ERP Payroll. With Payroll, you can create dynamic pay calendars. For this, you have provide a name to your pay calendar and choose its type. You can choose the type as either weekly, bi-weekly or monthly. Now, you need to specify when you want to pay your employees using this pay calendar. There are several options to select so choose the appropriate one that serves your purpose. In this stage, you have select employees who you want to pay. You can choose employees using their departments and designation. You will get a list of your employees and from there you can choose whom you want to pay. Finally, click on the create pay calendar button. You will be asked to confirm and after confirming you will get a success message. After creating pay calendars, you need to start payrun as this is the process that pays your employees. You will find the pay run button under your pay calendars. Click on it and you will be redirected to Pay Run page. Now, select your pay run's start and ending date. You also need to select a payment date. You can click on each of the employees to adjust their variable pay and fixed amount payments. Please note, you need to add your employees basic pay from the employee profile tab. Here, you can also include other important payment details as well. After reviewing, click on the next button. You will be asked to adjust additional payments including allowance, deduction, tax etc. The system will automatically calculate the amounts. You don't have to worry about anything. After including all the relevant information click on the next button. In this stage, you can print pay slips and invoices. Now, click on the next button and approve the pay run. This pay run will run on the selected dates and your employees will be paid automatically. You can refer to the video below to understand this process easily. Payroll is a complete suit to pay your employee salaries automatically. 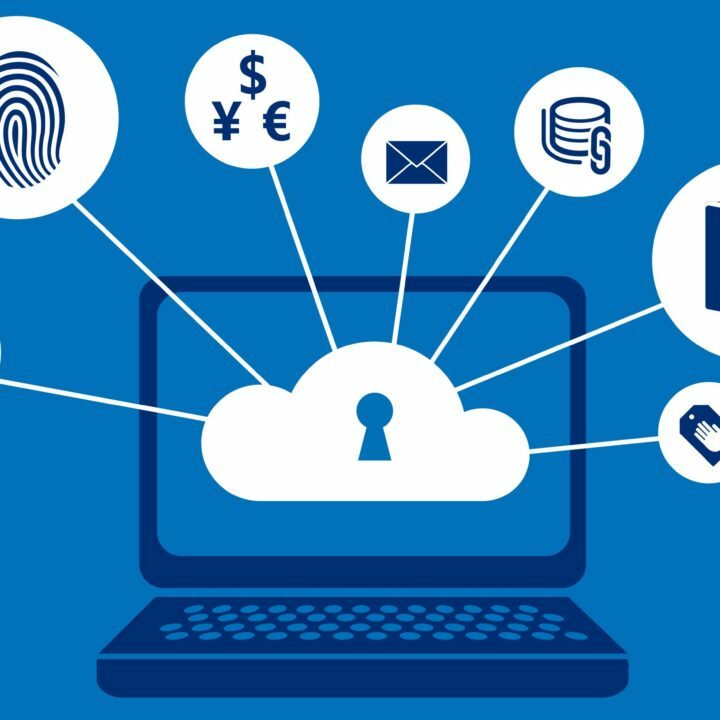 This powerful solution makes your business process easier so that you can use your time on other important matters as it save both your time and money. Using Payroll extension of WP ERP, you can get a birds eye view of your employee expenses. The dashboard page contains important data regarding your pay calendars and pay runs. It also contains information about amounts paid in the previous months. There are records of latest 5 pay run including their details and payment amount. 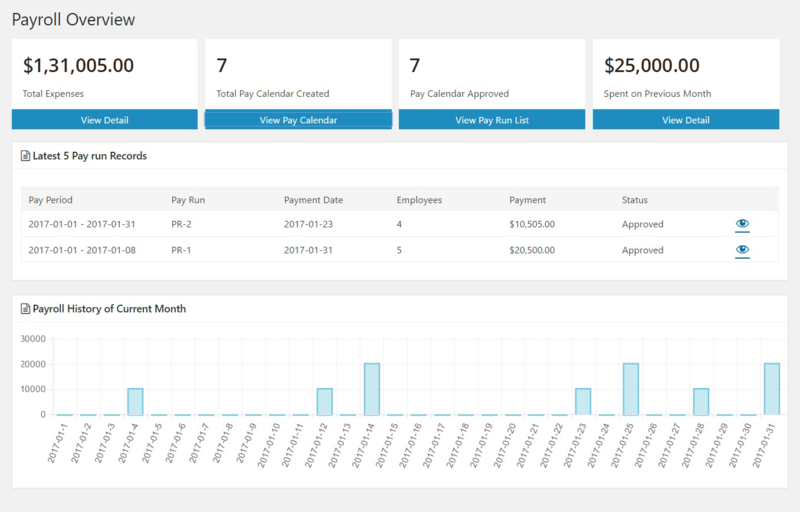 You can also use the pay run history graph to get more useful insights. WP ERP Payroll generates useful reports for you. Currently, you can generate two types of reports including Pay Run by Employee and Pay Run Summary. However, these reports contains useful data and insights that helps you in different ways. In this content, you have learned about Payroll extension in detail including its features, how to use it and how it helps you to manage your employee salaries. This is one of our top selling extensions and we know that it will definitely help you to solve your problems. If you are thinking about a better way of managing your companies payroll, then this extension is a must for you and your Accounts Manager.